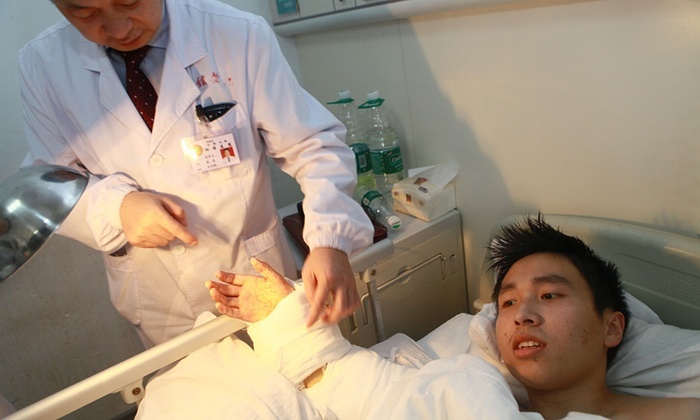 Changsha, Hunan Province, China – an extraordinary and almost unbelievable surgery to save a man’s hand was performed in Xiangya Hospital. A factory worker named Zhou accidentally cut off his left hand while working with a rotating blade in the factory. He was rushed to the hospital by his colleagues. “I was just shocked and frozen at the spot, until co-workers unplugged the machine and retrieved my hand and took me to hospital,” said the 25-year-old Zhou. He couldn’t imagine life without a hand, being still young. 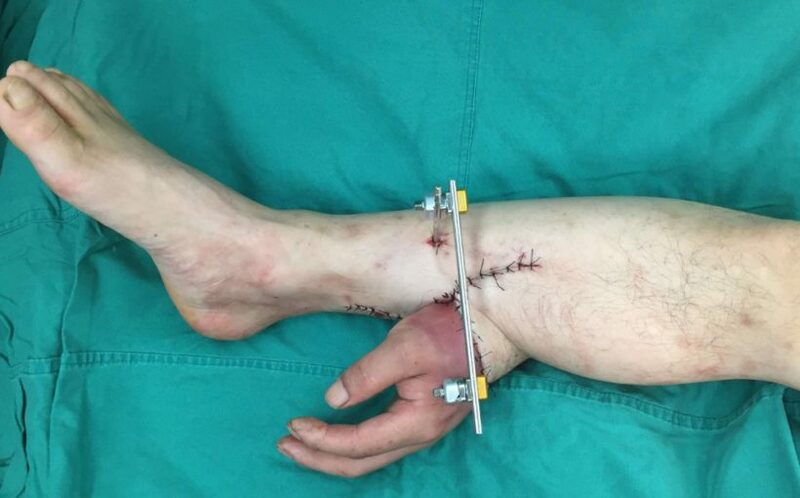 Dr Tang Juyu, head of microsurgery at the hospital, decided he could give Zhou a chance to ‘revive’ his lost hand – with an operation he and his team had already successfully performed once in 2013 under similar circumstances. Doctors were hopeful they could reattach the hand but not immediately. They couldn’t attach the hand back right away because the damage to his arm and hand has been grave, and putting it back right then there would have caused more problems. Zhou had to wait for a month for the wounds to heal. According to Dr. Tang Juyu, under normal temperatures, a mere finger deeply severed needs to get back a supply of blood in not more than 10 hours. In Zhou’s case when the whole limb was severed, the time needed until blood supply resumes was shorter. In order to stop the severed hand from dying they attached it to Xiao’s ankle. Instead the hand was kept alive by stitching it to Xiao’s left ankle and “borrowing” a blood supply from arteries in the leg. The surgery lasted for 10 hours. After 30 days, the medical team performed another surgery to attach his back to its place. The operation was successful and he could now move his hand again. However, he still needs some rehabilitation in order to his hand to function the same way as before.